When Sir Christopher Wren designed his monument to commemorate the great fire of London at its starting point in Pudding Lane, he commented that the Portland limestone it was made from would shine in the sun as a symbol of rebirth to all who saw it. Even figures as famous as Oscar Wilde have said what they love most about coming to London is seeing the gleaming white buildings along the banks of the Thames, which shows both of these great men only ever came to London on a good day! Still some of the most important and iconic buildings in London are made of Dorset limestone, making Portland and Purbeck stone calling cards for the capital. So what of the garden? Imports of sandstone from India and Afghanistan and granite from China have all seen rises in the last few years. Poorer quality or not, it seems cheaper options have become big business. One of the benefits of using local stone in a garden design is that many older properties have vast amounts of local stone already in their gardens. It is therefore best to match with this and the benefits are that we know the stone’s been there a while, it’s hard wearing and good quality. In newer properties, it adds style and a natural feeling in keeping with its surroundings. What our local stone suppliers are up against is that you can get imported stone carved and machine finished cheaper than we can produce it in this country. As an example, Indian sandstone that has been sawn round and drilled to the designer’s specification. It is actually cheaper to have it done in India and imported back than have the same item made in a Cotswolds quarry or a local Dorset or Yorkshire quarry. It may be cheaper commercially but a huge impact on the Environment, when we have such a high quality product on our doorstep. Our local manufacturers are fighting back with investment in high tech equipment. 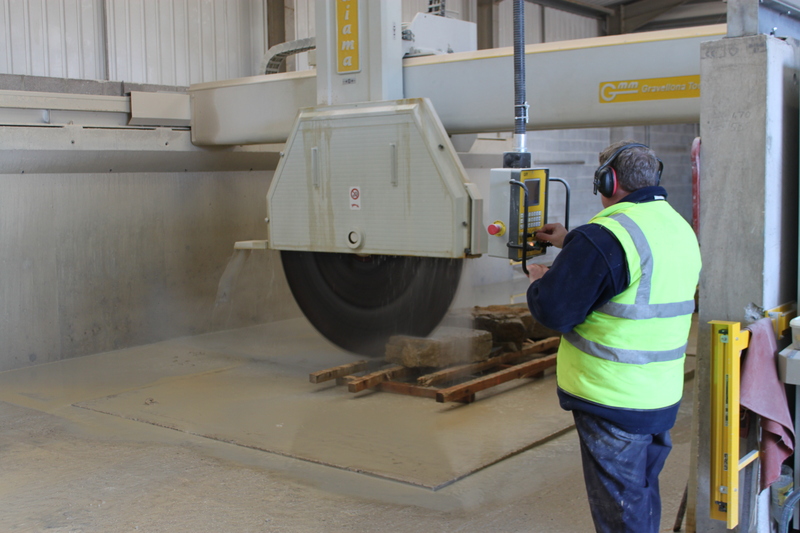 Hopefully this investment in the latest technology by our quarries and the looser quarrying restrictions on the part of councils may give Dorset stone the edge it needs to make a big comeback. We have the opportunity to leave a legacy in our gardens by using our beautiful local stones and that would have pleased Oscar Wilde.